Six years after Citizens United enabled unfettered spending in our elections, the use of so-called dark money has become disturbingly common. Contrary to the Supreme Court's assumption that this unlimited spending would be transparent to voters, at the federal level powerful groups have since 2010 poured hundreds of millions of dollars into influencing elections while obscuring the sources of their funding. But it is at the state and local levels that secret spending is arguably at its most damaging. For a clear understanding of the degree to which dark money is warping American democracy, state ballot referenda and local school board contests may be a better starting point than the presidential campaign or even congressional races. As Chris Herstam, a former Republican majority whip in the Arizona House of Representatives and now lobbyist, put it, "In my 33 years in Arizona politics and government, dark money is the most corrupting influence I have seen." 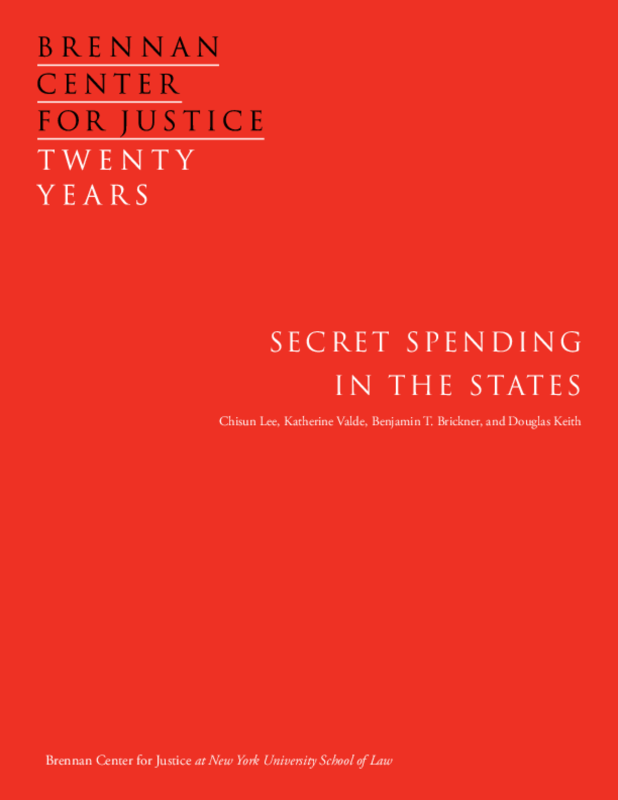 This report documents how far outside spending -- election spending that is not coordinated with candidates -- at the state and local levels has veered from the vision of democratic transparency the Citizens United Court imagined, drawing on an extensive database of news accounts, interviews with a range of stakeholders, campaign finance and tax records, court cases, and social science research. For the first time, it also measures changes in dark money – and a thus far unrecognized rise in what we term "gray money" – at the state level, by analyzing spender and contributor reports in six of nine states where sufficient usable data were available. This set of six geographically and demographically diverse states, comprising Alaska, Arizona, California, Colorado, Maine, and Massachusetts, represents approximately 20 percent of the nation's population.